The worst non-human au alien companion? 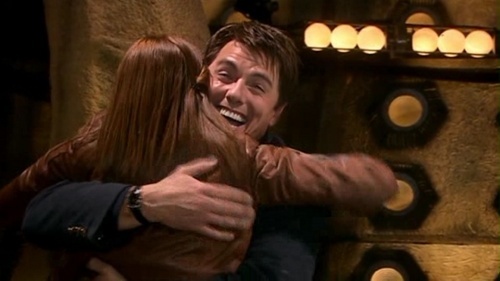 In fanfiction I see Jack paired up with variuos other characters besides Ianto, who do wewe think he would be good with? Before wewe ask, yes, I already know who Missy is. This is just two theories I have that involve her. Michelle Gomez is a FAR better Master than John Simm. Simm was fine, but he was too over the juu for me to properly enjoy. Doctor Who has a wide range of characters. From villains, monsters, Doctor's, Master's, companions and extras, there's a wide range of men, women, homosexuals, heterosexuals, bisexuals and asexual's in this onyesha and the expanded universe. As 90% of the companions in Doctor Who are young women, wewe can imagine that there are many women to choose from, whether from both the classic series and revival au just one of them. And that's not even including all the "extra" women au the villain women! As he sits at nyumbani all he can think about is Rose and how he left her behind.He thinks of all the good times they had together. His eyes burned as he watched another episode of their video diaries. It hurt him to just look at a picha of Rose. "I hope she is happy with where she is right now but I know she is sad. I miss her. I wonder if she missies me too?" She meant so much to the Doctor. She was his siku and his night,she was the burning upendo in his heart. Just the thought of Rose mead the Doctor sad. The tears in her eyes are real tears, and still she waits for him to come back. She waits for her upendo and still just her and the wind on this lonely beach. The tears in her eyes threatening to spill on to her cold cheeks as she took a deep breath. wewe could see the pain in her eyes as she stood and looked right back into his eyes and could see the same amount of pain and maybe even more. Have wewe ever thought Russell T Davis and Steven Moffet Companions were similar because I noticed they were pretty similar. Two dakika were all we had to share, to think of things to say. Two dakika just to say a goodbye that never came because we didn't think it would. Two dakika to tell him I upendo him just as I should have long before we ended up here. Two dakika were two dakika too short to hear him say it. Two dakika and I'm staring at nothing. Two dakika and his face is gone forever, no sweet smile, no shiny brown eyes, no beat up old brown suit, nothing. Name of the first dw episode ever?